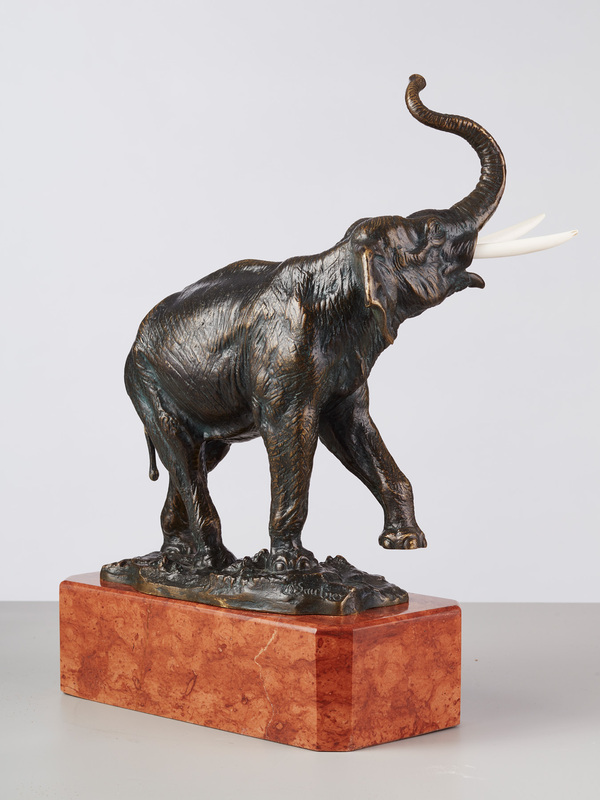 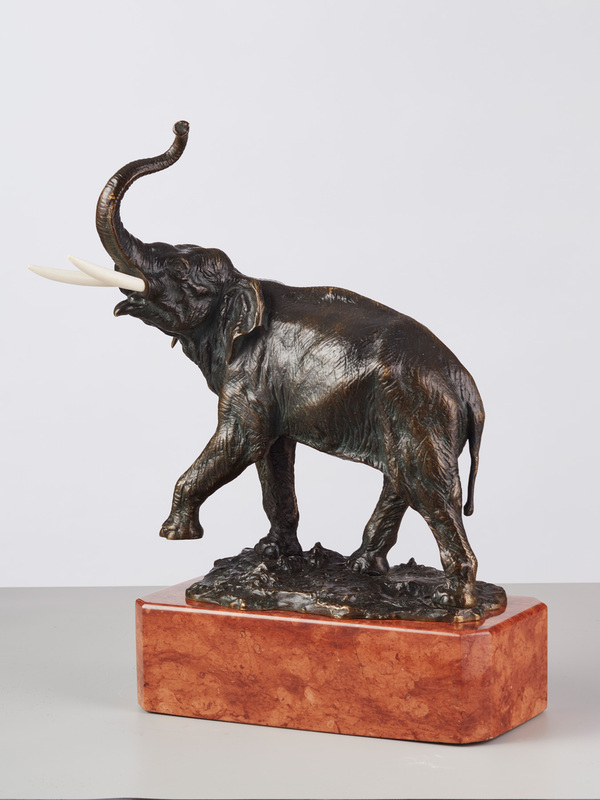 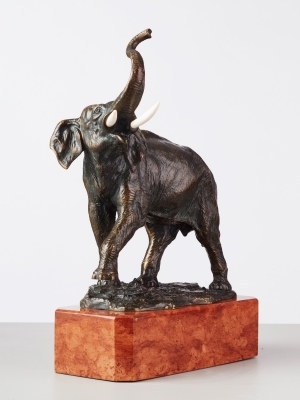 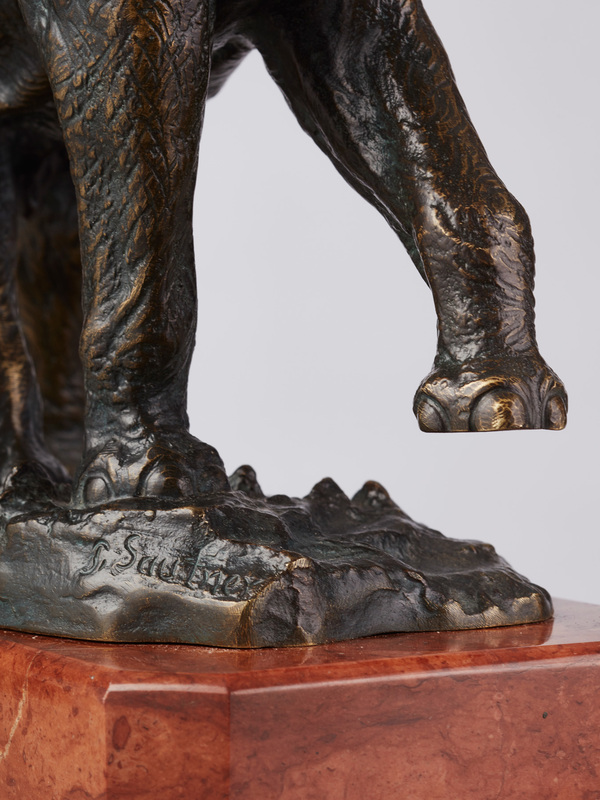 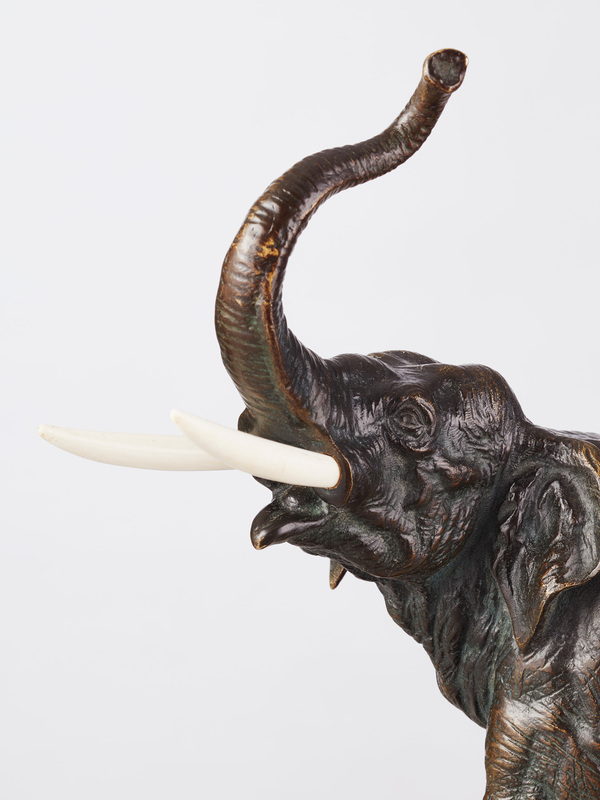 The elephant stands on a marble plinth, trumpeting with trunk in the air and with one front leg lifted. 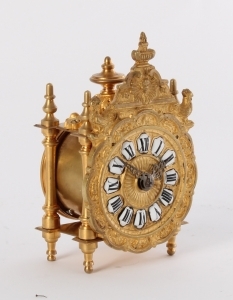 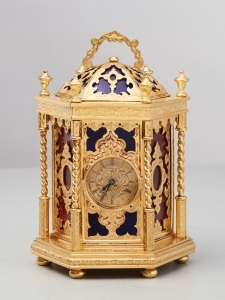 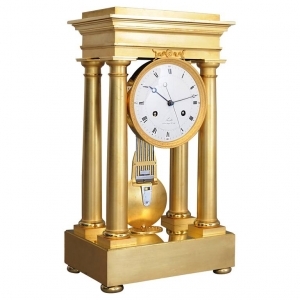 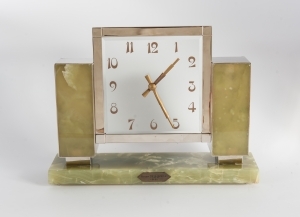 A miniature French Regence-style gilt brass table timepiece, circa 1870. 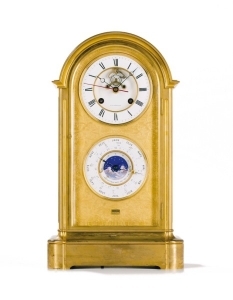 A French Napoleon III gilt-bronze striking mantel regulator, third quarter 19th century. 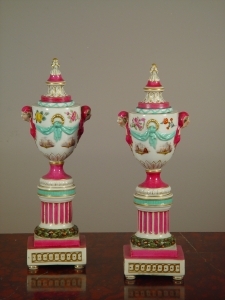 A pair of polychrome porcelain urns 'à double usage', mid 19th Century.